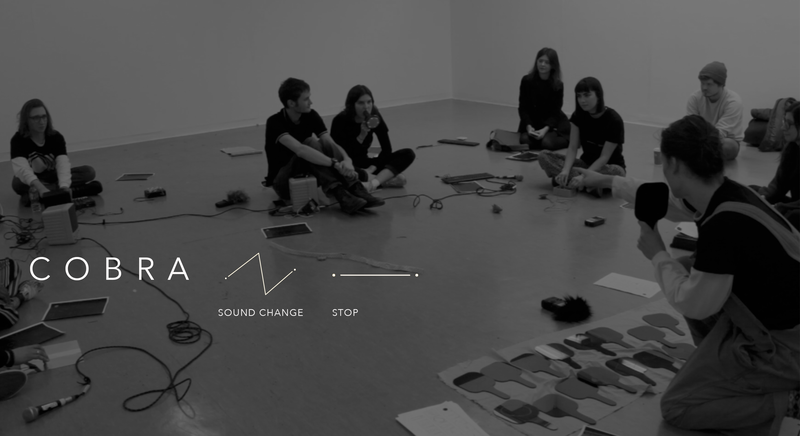 Siân Lyn Hutchings & The Noematic Collective present COBRA, a brand new workshop that draws from the work of experimental composer John Zorn, fostering an acute awareness of our surrounding sonic ecologies and the inherent musicality of day-to-day objects. Using the Bold Tendencies site as a base to generate experimental compositions, objects will be chosen by The Noematic Collective for their predominantly visual function. These objects will then be transformed into instruments, changing the way we perceive those objects into sonic forms. Following John Zorn’s 1988 album ‘Cobra’, we will generate a composition with participants using visual references as symbols to conduct with. The workshop will look to foreground our sonic awareness of objects and build on alternative ways of understanding daily experience, particularly within a museum context. Without the prerequisite of formal training, our participants will organise sounds around themselves through experimental conducting techniques, providing them with the ability to remediate the surrounding soundscape of their day-to-day lives.